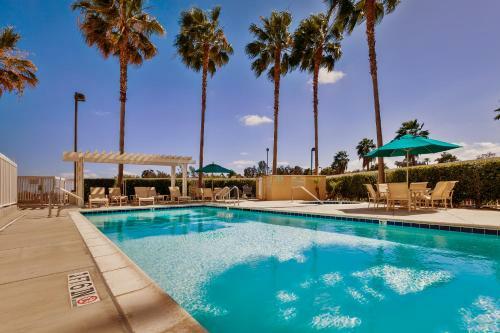 Set among the beautiful, green pastures of Chino Hills, this Hampton Inn offers an outdoor pool and air-conditioned rooms with 25-inch cable TVs. Los Angeles is 45 minutes’ drive away. All of the bright, modern rooms at The Hampton Inn and Suites Chino Hills feature comfortable, large king-size beds, coffee makers, and complimentary newspapers. Guests can also make use of free Wi-Fi access and hairdryers. Hot breakfasts including waffles, eggs and sausage are served every day in the breakfast room, with its large, plasma-screen TV. Unlimited juice and coffee are also available. 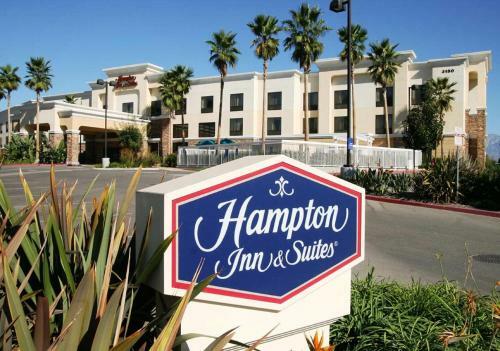 Hampton Inn and Suites Chino Hills also provides a business centre with a computer, telephone and printer. Disneyland Resort California is a 40-minute drive away, and the beautiful Chino Hills State Park is just 10 minutes’ drive away. 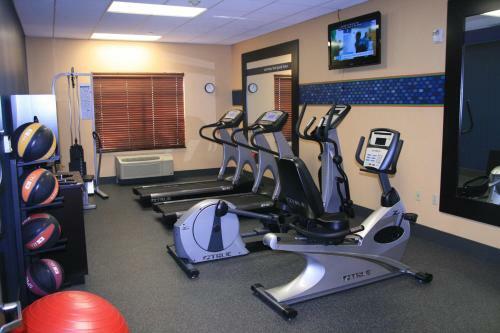 the hotel Hampton Inn & Suites Chino Hills so we can give you detailed rates for the rooms in the desired period.